The Career Ready programme provides our students with real-life, industry skills and knowledge in preparation for the world of work. How Can Employers Become Involved? 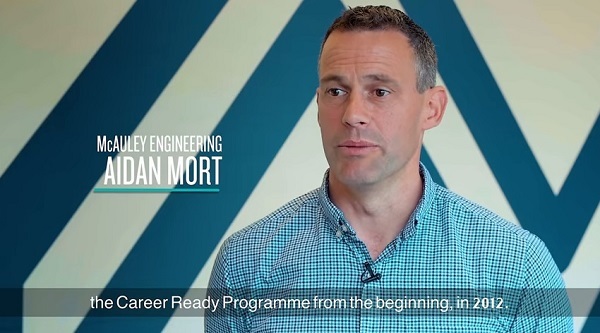 Partnering with Career Ready and Northern Regional College has positive effects on your employees and business as well as helping to mould the workforce of the future. Involvement is low cost and low risk – you can engage as much or as little as you want – from a masterclass to offering a six week paid internship. Internship supervisors can gain practical experience in managing and coaching a young person. Offering internships can help you harness and develop the key skills that help make young people ready for the world of work. Consider it as a six week interview for a future employee! Career ready students can add value by undertaking projects where you do not currently have resources and also provide fresh ideas and perspectives into your business. An effective testing ground for potential recruits to higher level apprenticeships. Opportunity to network and liaise with other businesses. Watch this video to find out more from current employers! Or visit career ready. Watch this video to find out more from current Career Ready employers.